A Druid's Tale explains what it means to be a Druid from an inside perspective. 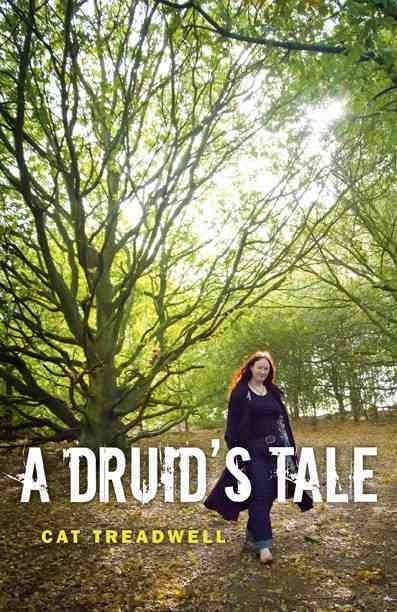 It intersperses accounts of personal experience with answers to questions people ask, such as what do druids do and what makes Druidry different from other modern pagan paths. There are beautiful descriptions of rituals both private and public conducted out in the countryside on cold wintry mornings and on glorious summer days. There are also accounts from daily life at work and at home, similar to the things most people living in modern cities experience, but seen through the eyes of a Druid. Yet these also show how reverence for nature and for the changing seasons can help bring balance - and beauty - to days that seem full of stresses and problems. Publisher Moon Books says on its website: "What do people think of when they hear the word 'Druidry?' The real questions, not the 'old men in white robes' stereotypes. What makes a Druid? What do they do? This book hopes to answer some of those questions. For the benefit of those who prefer the more traditional methods of finding information, Cat has compiled and expanded on some of the more common queries as well as focusing on the day-to-day aspects of Druidry as a lived path, constantly evolving to be relevant and accessible in the modern world." I actually got the opportunity to read this book a few months ago, before it went to press. I guess I was expecting to see a lot of similarities between my own Wiccan spiritual path and Cat's Druidry. In fact, it helped me understand the differences between Druidry and Wicca. Druids try to do far more outdoor rituals, for a start. Wiccans tend to work indoors - although not exclusively. I think this is partly connected to the fact that Wiccans are generally more private about what we get up to. Wicca is a mystery tradition, so we don't really want uninitiated members of the public seeing our rites. It isn't that we get up to anything dodgy, it is just that we like to keep our secrets secret. And, of course, Wiccans like to work skyclad - which means naked. Although that might be fine at outdoor rituals on designated nudist beaches in high summer, it isn't so great in the British winter.And you certainly can't just get your kit off in most places open to the public. Yet there are definite similarities between the way Cat and I see the beauty and sacredness of nature in our everyday lives. We have both escaped from a hectic work schedule to find peace in an urban park or on a city riverbank. We both try to walk our spiritual paths while living in a world with material responsibilities. And we both follow religions that seem to inspire questions rather than give dogmatic answers. A Druid's Tale has now reached shop shelves and I wish Cat every success with the sales. Maybe it is time for me to think about turning my own blog into a book.